View of the lower fuselage and wing. 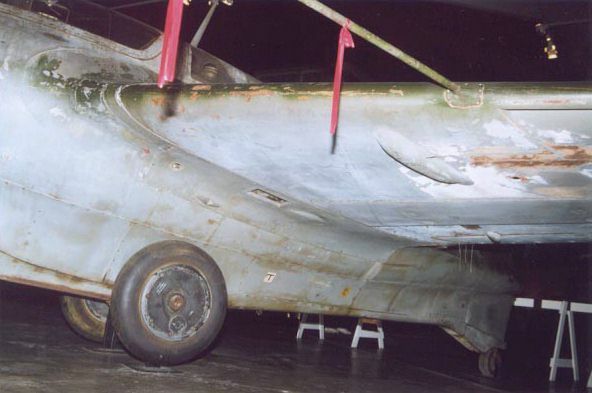 The lower fuselage shows all kinds of greenish discolorations. The cartridge ejection slot can be seen in the wing root. The wing skin shows deep diagonal scratches down to the wooden structure in one area. The leading edge is also chipped down to the wood.